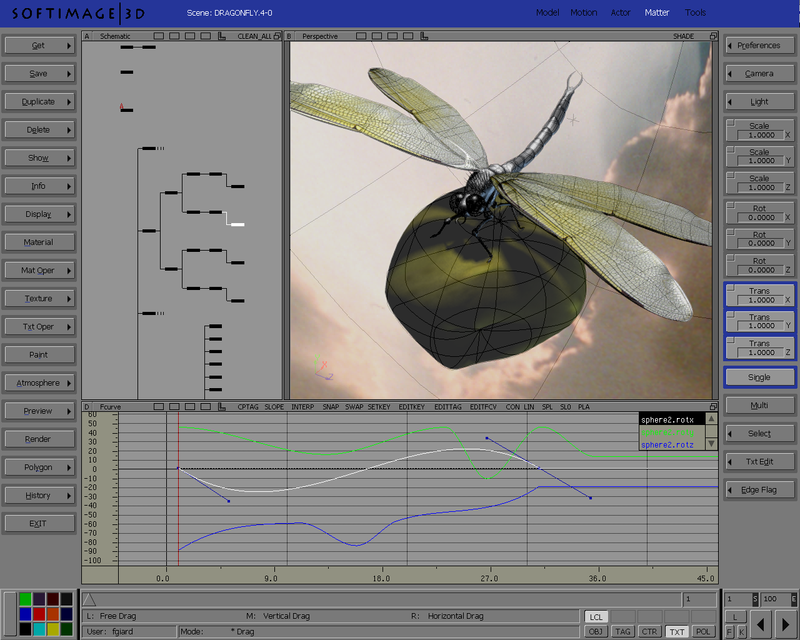 Softimage introduces the ACTOR module. Setting new standards in character animation. Original article in german from the “Silicon Graphics Performer”magazine for the “CEBIT” Germany. Printed 1992. Translated by S. Constable 2015. SOFTIMAGE, the animation software from Montreal is already very well known as a kickstarter. The software is targeted to creative artists and comes with fully integrated and powerful modules: MODEL-MOTION-ACTOR-MATTER-TOOLS, that gives the artists full and and consistent control within a single interface. The new and amazing ACTOR module in Softimage fits perfectly within the other parts of the software. Animation of characters (humans, animals) as well as any objects is achievable in its natural movement like never seen before. ACTOR lets you play with physical forces and it knows of muscle contraction. ACTOR integrates inverse kinematics, dynamics, skinning (skin-movement) and collision detection. All controllable with keyframing and f-curve editing. ACTOR is aware of physical values like gravity, inertia, wind or friction – and can handle these automatically. To give life to a bicycler the operator just have to animate the bicycle and constrain the characters hands and feet to the handles and pedals. The ACTOR module computes the movement of the entire body and its joints. It computes f-curves which are editable. To add up or down movement to the body. If the character arms bend, it gives control to muscle deformation as well. Wind: Intensity and direction is controllable with an icon independantly and it is fully animatable. A wind wheel will react realistically to that forces, dependent on its friction. No need for a physics lesson! Direct realtime control: An outstanding feature. ACTOR allows to adjust the motion of complex hierarchies easily. The operator can add additional motion to an already animated character with realtime control. It will be automatically saved and also allows fine control after recording. Via mouse, space-ball or dial-box. Up to 100 channels are possible even with additional external devices like a motion control camera. 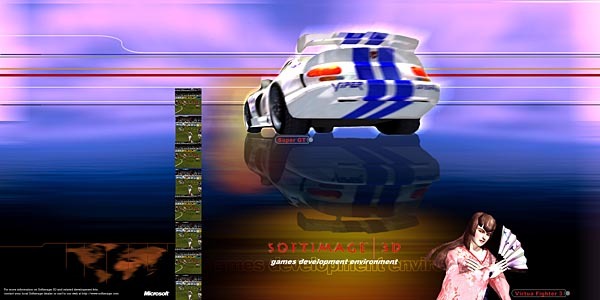 SOFTIMAGE has 70 customers in germany already and is distributed by VGA in Bruckmühl/Bavaria.